Home /Team /Research fellows /Cord Kaldemeyer, M.Eng. From 2009 to 2013 Cord Kaldemeyer studied Energy and Environmental Management (Industrial Engineering) at the University of Applied Sciences in Flensburg. During his study he spent one semester abroad at the Syddansk Universitet in Denmark. He wrote his Bachelorthesis at the Center For Demand Side Integration (C4DSI) in Hamburg on the topic of economical benefits of electricity storage integration into local renewable energy supply systems. From 2013 to 2015 he studied in the master programme Energy and Environmental Engineering at the University of Flensburg where he focused on energy systems modelling. 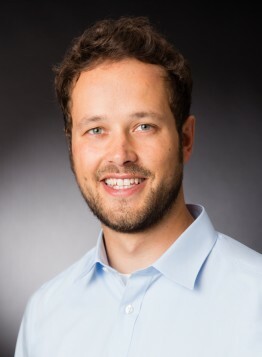 In his masters thesis at the Center for Sustainable Energy Systems he developed a unit commitment model for compressed air energy storages at power and reserve markets using mixed integer linear programming. Since 2015 he works at the University of Applied Sciences as an research assistant in the field of Energy and Environmental Management at the institute of Energy and Biotechnology. His focus lies on modelling and optimization of energy systems with storage components in changing energy markets. In a current research project he focuses on heat and power sector coupling problems. In addition to that he has been heavily involved in the development of the Open Energy Modelling Framework (oemof).